Chlorine inactivates a microorganism by damaging its cell membrane. Chlorine inactivates a microorganism by damaging its cell membrane. Once the cell membrane is weakened; the chlorine can enter the cell and disrupt cell respiration and DNA activity (two processes that are necessary for cell survival). Sodium hypochlorite (NaOCl) is made up of the sodium salts of hypochlorous acid and is a chlorine-containing compound that can be used as a disinfectant. It is produced when chlorine gas is dissolved into a sodium hydroxide solution. It is in liquid form, clear with a light yellow colour, and has a strong chlorine smell. 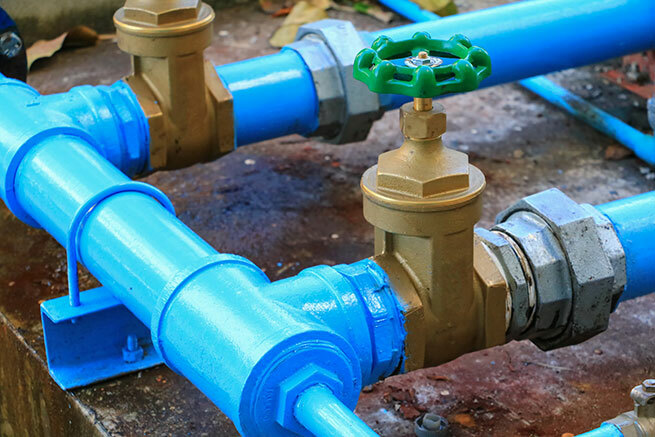 Sodium hypochlorite is extremely corrosive and must be stored in a cool, dark, and dry place. Sodium hypochlorite will naturally decompose; therefore it cannot be stored for more than one month at a time. 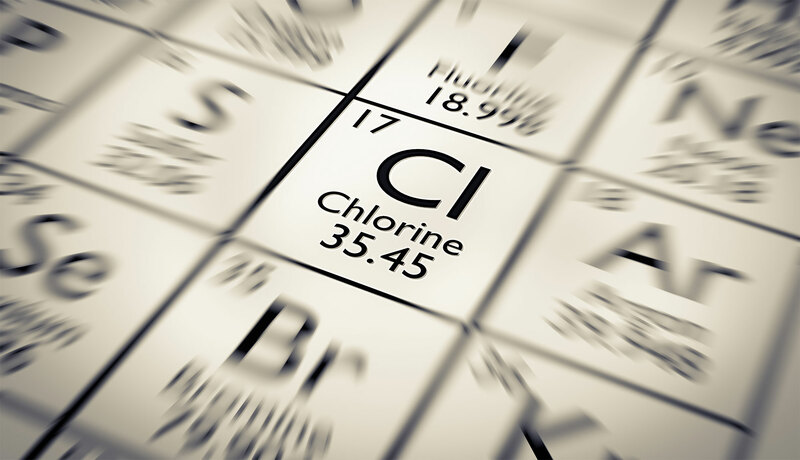 Of all the different types of chlorine available for use, this is the easiest to handle. The amount of sodium hypochlorite required for water treatment is much less than the other two forms of chlorine, with 0.2-2 mg of NaOCl/L of water being recommended. Like calcium hypochlorite, sodium hypochlorite will also produce a hypochlorite ion, but instead of calcium ions, sodium ions are produced. NaOCl will also increase the pH of the water through the formation of hypochlorite ions. To obtain hypochlorous acid, which is a more effective disinfectant, the pH of the water should be decreased. Chlorine needs time to inactivate any microorganisms that may be present in the water being treated for human consumption. The more time chlorine is in contact with the microorganisms, the more effective the process will be. The contact time is the time from when the chlorine is first added until the time that the water is used or consumed. The same positive relationship is seen when considering the chlorine concentration. The higher the concentration of chlorine, the more effective the water disinfection process will be. This relationship holds true because as the concentration increases, the amount of chlorine for disinfection is increased. 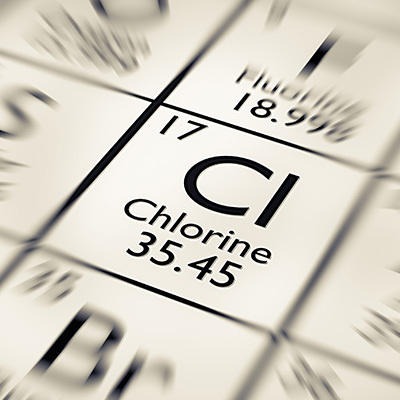 Unlike the relationship between chlorine concentration and disinfection effectiveness, the chlorine concentration and the contact time of chlorine with water show an inverse relationship. As the chlorine concentration increases, the required water-chlorine contact time ultimately decreases. To determine the level of disinfection (D), a CT value can be calculated. This value is the product of the chlorine concentration (C) and contact time (T). The formula is as follows: C*T=D. This concept shows that an increase in chlorine concentration (C) would require less contact time to achieve the same desired level of disinfection. Another possibility would be an increase in contact time that would in turn require a lower chlorine concentration in order for the level of disinfection to stay the same. The required CT value depends on several factors, including: the type of pathogens in the water, the turbidity of the water, the pH of the water and the temperature of the water. Turbidity is the suspended matter in the water and the types of pathogens can range from bacteria like E.coli and Campylobacter to viruses including Hepatitis A. At lower temperatures, higher turbidity, or higher pH levels, the CT value (i.e. the disinfection level) will have to be increased, but at lower turbidity, there is less suspended material in the water that will prevent contact of the disinfectant with the microorganisms, thus requiring a lower CT value. A higher water temperature and a lower pH level will also allow for a lower CT value.